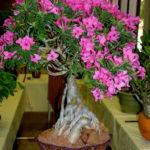 Adenium obesum subsp. 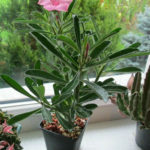 swazicum is a dwarf shrub up to 2.3 feet (70 cm) high, with an enlarged succulent stem with few branches, sometimes partly below ground that tend to droop or spread, especially in plants that are too shaded. 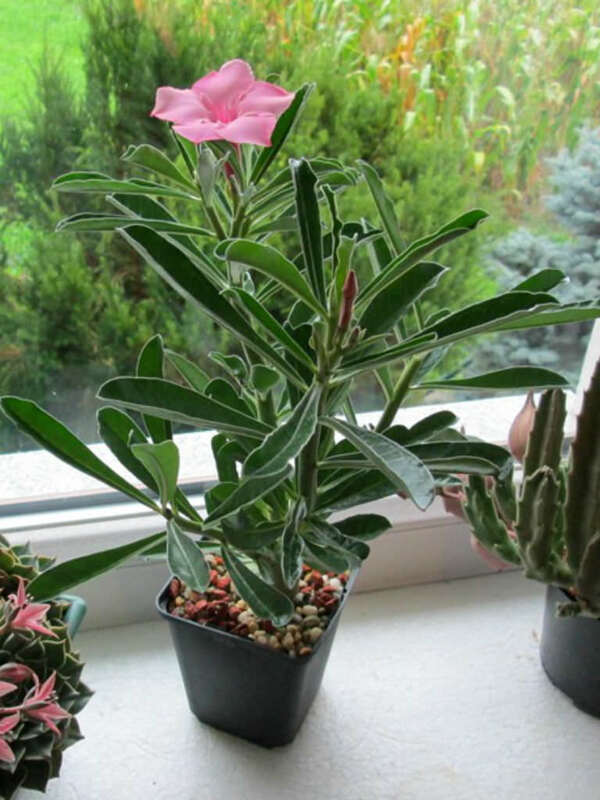 Mature plants have massive roots and thick stems, but a caudex is evident only in young ones. 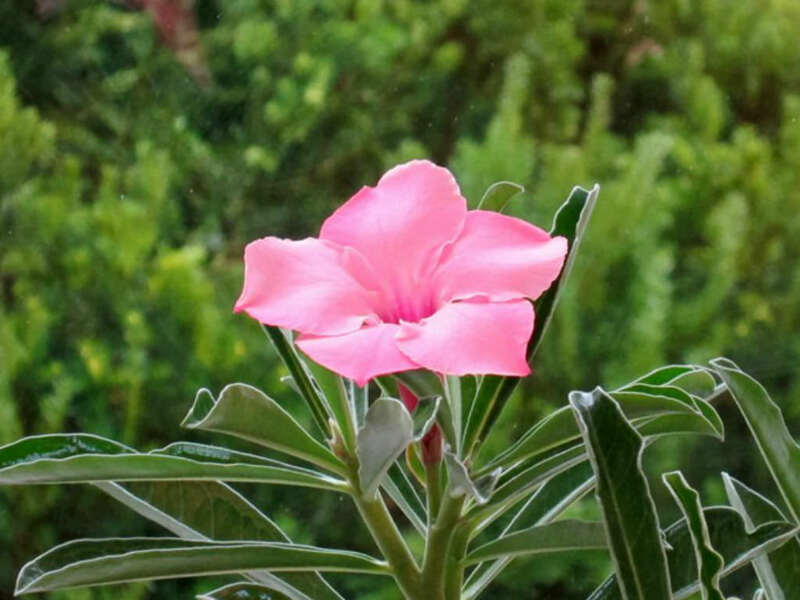 Flowers are showy, pink or mauve to deep reddish purple, usually darker in the throat, appearing with the leaves. It blooms over a long season normally in late summer and autumn. 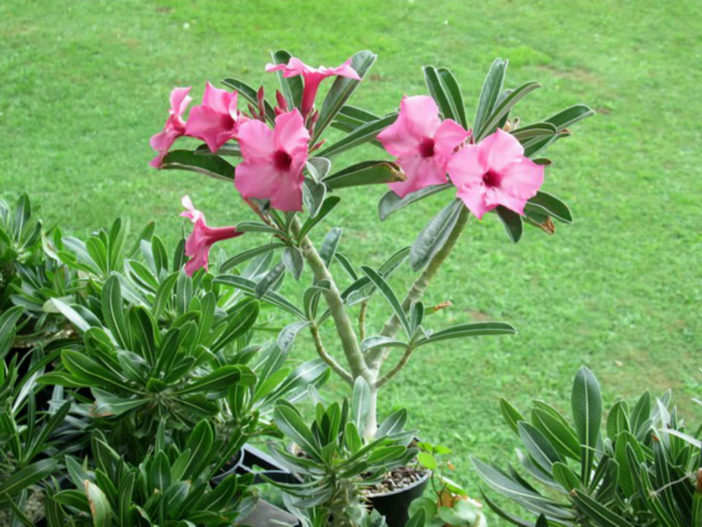 These are not difficult plants to grow well, provided they get enough sunlight and warmth. Like all succulents, they cannot tolerate sitting in water, and if you err, do it on the side of too little water. Use a specialized soil mix designed for cacti and succulents. 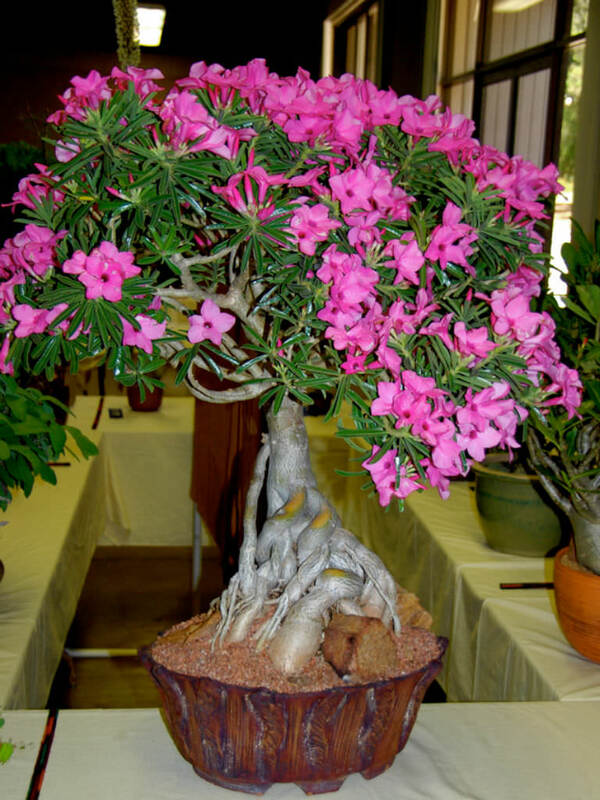 Adenium obesum subsp. 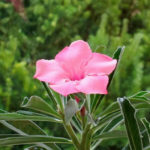 swazicum is native to the lowveld of Swaziland and the Mpumalanga province of South Africa.